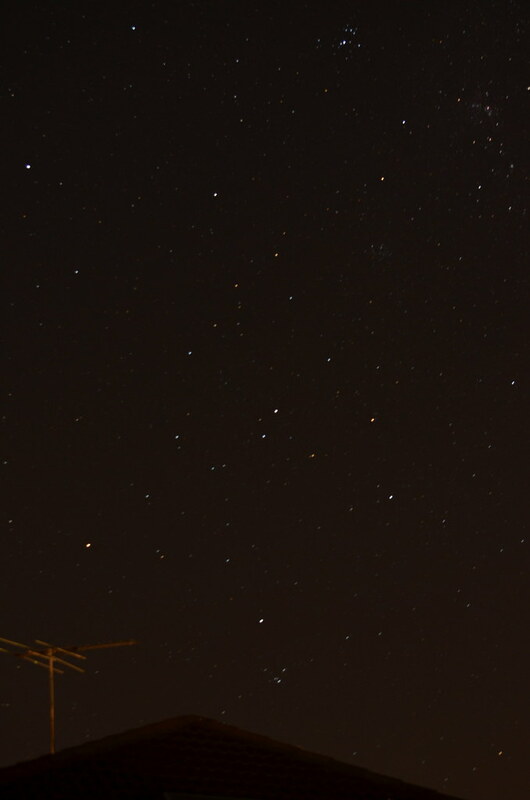 The latest subject in my DSLR learning curve was the night sky, as I continue to play with long exposures. With the neigbour's roof and TV antenna at the bottom foreground for perspective, this was my best shot from about 45 minutes in the back yard. It's a 30 second exposure with my Nikon D5100.